Swarathma is what I call an â€œIndianâ€ band. A band which has got its act together on stage and online. 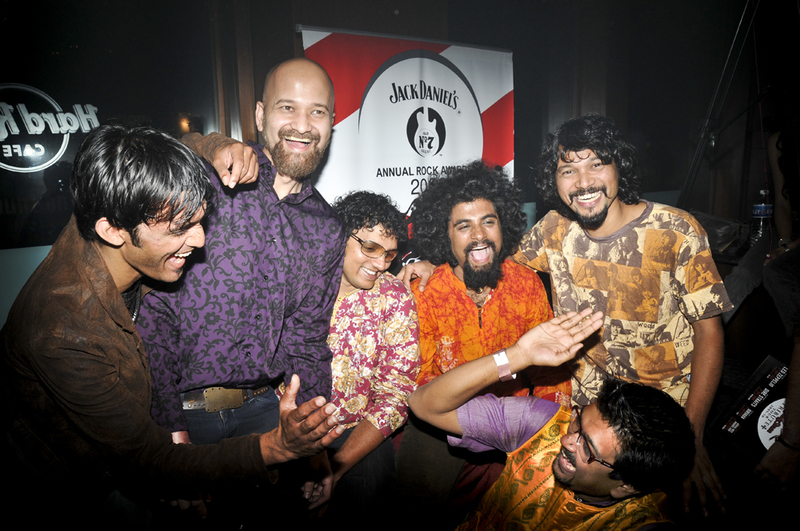 I first heard them in a bar in Kolkata and was amazed at the energy and the music that came through. A great act with songs to match it up. You could place them in a pub in Kolkata or a remote village in Karnataka – they fit just fine. It’s no wonder that they are one of India’s finest. The music is from the roots and the outlook to promote it new age. Swarathma has a great combination going which speaks of the hard work put in behind getting their music across. â€˜Yeshu Allah aur Krishna’ has so much satire – if you readÂ though it carefully enoughÂ you can see how serious they are. ‘Jamba’ is an audio train journey across Karnataka, with some great violinÂ work by Sanjeev. I distinctly remember catchingÂ up with the band’s bassist Jishnu at the Hard Rock Cafe in Bengaluru during our sound check. I found a connect – Jishnu was my “anti matter” â€“ I am a Malayali in Kolkata, he a Bengali in Bengaluru. And donâ€™t forget the seventh member of the band – Vasu’s horse – which says everything in its sway. Listen to the new sound thatâ€™s guitars, bass, drums and India.